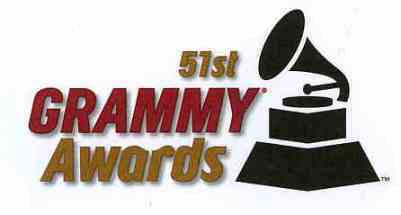 2009 Grammy’s Round Up – Better Late Than Never. Ok, so here it is. Finally! Since I had some things going on during the 2009 Grammy’s last Sunday night, I have turned to friends and others for their notes and opinions of the show. First up, notes from my wonderful friend I mentioned yesterday, in her own words…..
U2 opened the show with an energy pumping performance. Whitney Houston came out to present R&B song of the year. She was looking as well as I remember her looking back in the late 80’s. So good that when she remarked about wishing she wore her boots, she unsheathed her long, sleek left leg. In somewhat of a smoker’s voice, she paid tribute to Clive Davis. Duane “The Rock” Johnson was trying too hard to be an announcer type. He failed and bombed on one of his jokes. The best thing he did was introduce JT [Justin Timberlake]. 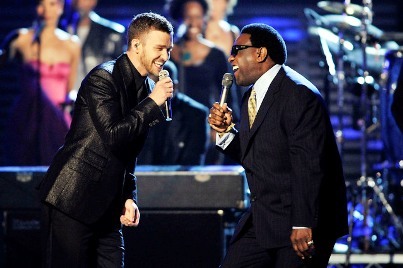 JT introduced Al Greene and they performed a duet of “Let’s Stay Together.” JT can move. Al Greene is old but can still perform. Keith Urban did a cameo guitar solo during the performance. Duffy and Al Greene presented song of the year to Cold Play. Robert Plant and Alison Krauss won. 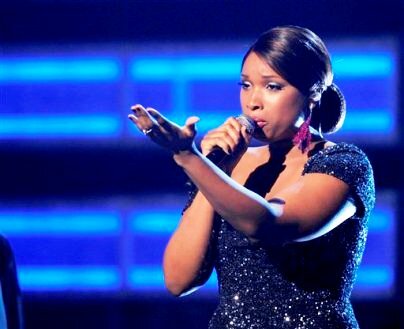 Jennifer Hudson looked almost svelte in a black dress performed a stirring and touching song, being overcome with emotion towards the end of the song. And now some notes from Damn I’m Cute (which is a great site, by the way)…..
BEST PERFORMANCE AND WORST OUTFIT BY A PREGNANT WOMAN: Rapper M.I.A., who was due to give birth Grammy night, held her own during an all-boys’ rap summit on “Swagga Like Us” with Jay-Z, Kanye West, Lil Wayne and T.I. But, oh, that outfit. She exposed her belly in a sheer black top — or was it a dress? — that had a bikini cutout design, strategically covering her chest. A TRIBUTE TO NEW ORLEANS: Robin Thicke, Lil Wayne and Allen Toussaint did the city justice with their rousing, soulful collaboration, supported by a brass band that had the audience on its feet. 50 queries in 0.677 seconds.